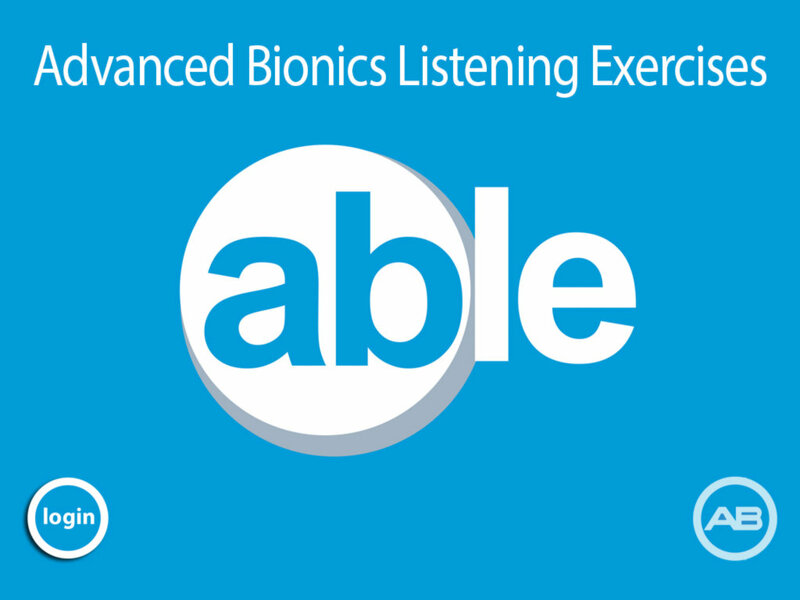 An Advanced Bionics employee has just launched a free iPad based auditory rehabilitation application called ABle (Advanced Bionics Listening Exercises) which can be used by hearing aid or cochlear implant users. Placement test you can take at any time which will lead you to recommended levels. Randomised presentation. Each time you visit a level it will present words differently. 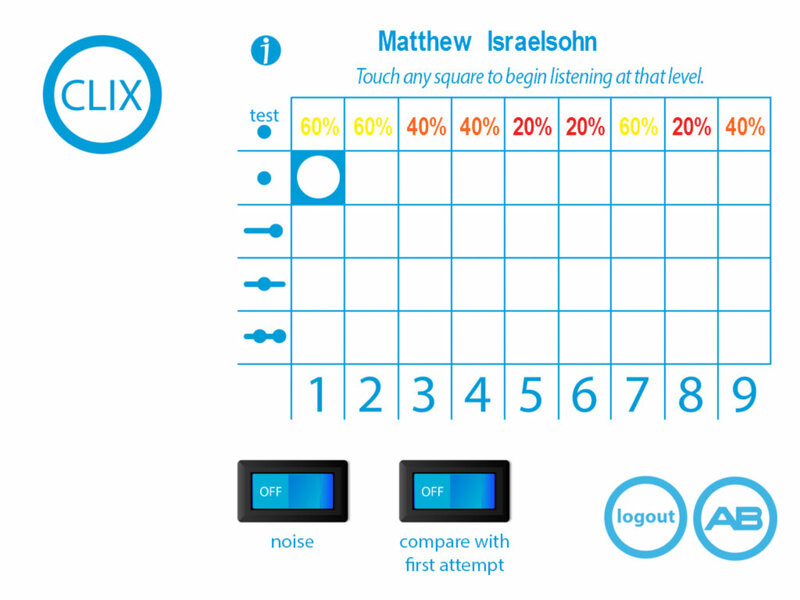 Compare current scores with earlier attempts. Listen for words alone, words at the end of a phrase, words within a phrase or 2 words per phrase. 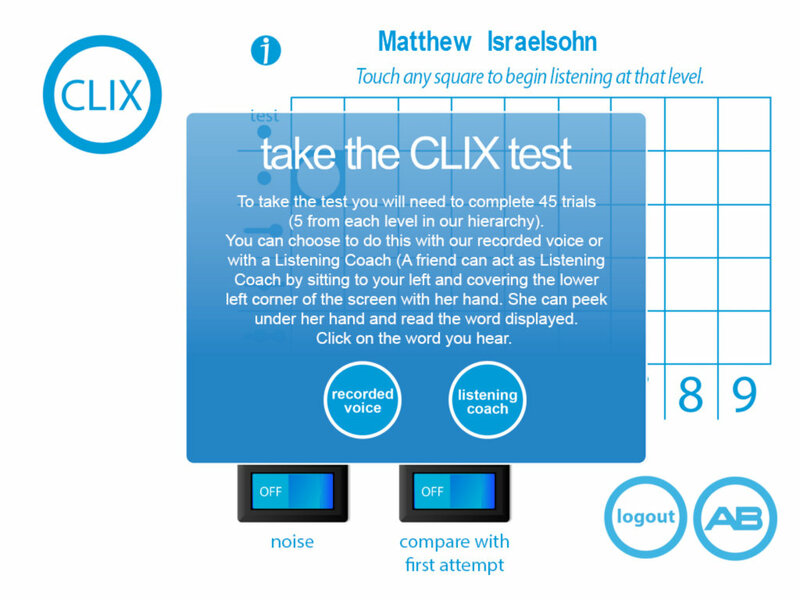 CLIX dashboard shows you your scores, recommends new challenges based on your performance, and allows you to enter each of those levels from one place. Choose short, medium or long practise sessions. Professionals using this app with clients can create up to 30 accounts. 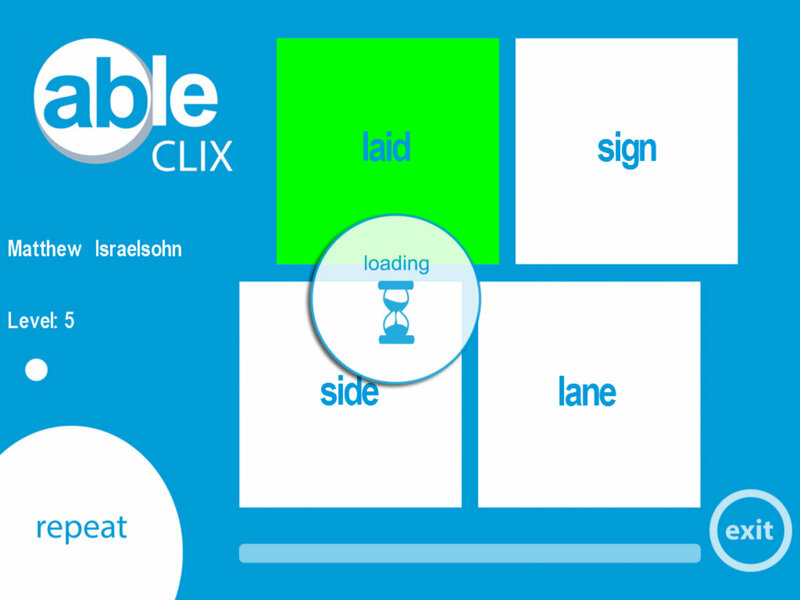 To obtain ABle, search for ‘able’ in the Apple App Store. The app is 236Mb in size. It only runs on iPads running iOS 3.2 or later. 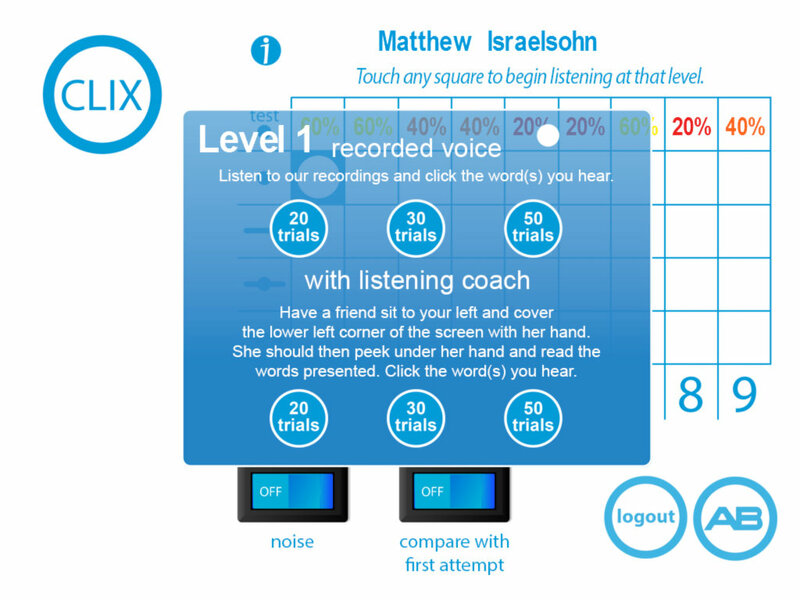 This entry was posted in News and tagged Advanced Bionics, auditory rehabilitation, ipad by Matthew. Bookmark the permalink.